SBI Clerk 2019 Recruitment Notification. 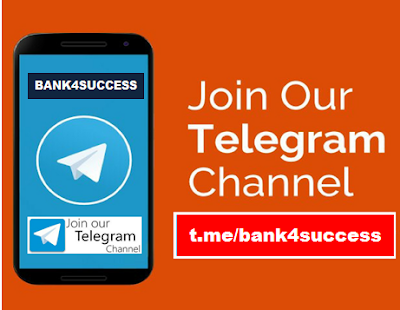 In this Article we will Discuss about SBI Clerk 2019 Syllabus, SBI Clerk 2019 Exam Pattern, SBI Clerk 2019 Books, SBI Clerk 2019 Exam Dates, SBI Clerk 2019 Selection Process, SBI Clerk 2019 Eligibility Criteria and SBI Clerk 2019 Previous Year Cut off. 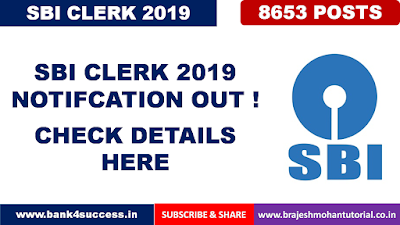 SBI Clerk Notification 2019 - The SBI Clerk 2019 Notification has been released by SBI for the post of Clerical Cadre. 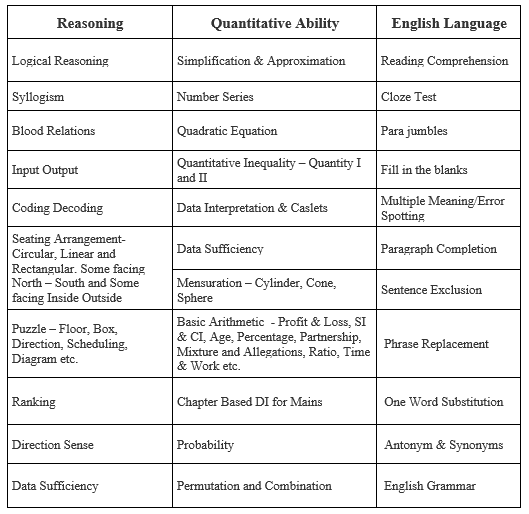 The recruitment process for the same will constitute of examination conducted in two phase- preliminary and mains. The online registration for SBI Clerk 2019 exam will start from 12th April 2019. Note (a) The date of passing eligibility examination will be the date appearing on the mark sheet/certificate or provisional certificate issued by the University/Institute. In case the result of a particular examination is posted on the website of the University/ Institute, a certificate issued by the appropriate authority of the University/Institute indicating the date on which the result was posted on the website will be taken as the date of passing. (B) Age Limit: (As on 01.04.2019) Not below 20 years and not above 28 years as on 01.04.2019, i.e candidates must have been born not earlier than 02.04.1991 and not later than 01.04.1999 (both days inclusive).